It's almost time to live stream Wilder vs Fury! Deontay Wilder vs Tyson Fury takes place today (Saturday, December 1) as the pair compete for the WBC Heavyweight title. Fury has travelled to Wilder's home country to fight at the 21,000-capacity Staples Center in Los Angeles, USA. The main event is expected to start at around 9pm ET, 6pm PT, 2am Sunday BST, and 12pm Sunday AET. It's fight night! After months of anticipation, Deontay Wilder and Tyson Fury are going to go at it in the ring tonight. We're in for a hell of a ride and we'd advise that you don't miss it. We'll tell you how to find a Wilder vs Fury live stream so you can watch from absolutely anywhere using this handy guide. Ding ding! Deontay Wilder is the 40-0-0 champ, who has amassed 39 knockouts over a ten-year professional career; Tyson Fury is the erratic, unpredictable 'King of the Gypsies' looking to eclipse his finest night in a boxing ring three years ago. Now that we've got the customary feisty press conference out of the way, the pantomime can turn into pure theatre. 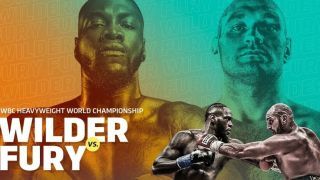 Wilder and Fury have been sounding each other out for a heavyweight showdown for years, and finally, after negotiations between Wilder and Anthony Joshua were put on ice earlier this year, Fury has stepped into the frame to set up this juicy contest in Los Angeles. The winner is likely to fight Joshua in 2019, so there's a whole lot more than just the WBC heavyweight title to play for. The explosive Wilder possibly doesn't get the accolades his 40-0, 39 KOs record deserves, but seeing off the Gypsy King could go some way to change that. This is only Fury's third fight since his two-and-a-half year absence, so it remains to be seen whether we'll see the same sharpness and quality that famously defeated Wladimir Klitschko in 2015. If you're wondering how you can watch the fight live, that's where TechRadar comes in. We'll tell you your viewing options in the US, UK, Canada and Australia below, and will have a top tip for how to live stream Wilder vs Fury safely regardless of where you are in the world. Scroll down to find out which broadcaster is showing the boxing in some of the major English speaking countries around the world. But even if the place where you live doesn't have it, you can always use a VPN to dial in to a country that does have a stream. A VPN is perfect for this as it allows you to change your IP address so you appear to be in a completely different location. The Wilder vs Fury fight is being shown live on Showtime PPV in the USA, with the main event set for 9pm ET, 6pm PT. It's a pricey one though at $74.99 - that's way more expensive than we've seen it around the world (it's almost like Showtime wants people to look for dodgy streams on Reddit), take the UK below, for example. On the plus side, the channel is typically available to stream via its website, Amazon, Hulu, Android and Roku – for those hoping to watch via mobile, tablet or PC. And if you're outside the US and wish to watch that Showtime stream, then make sure you take a ride on the VPN train, as described above. BT Sport Box Office is the UK broadcaster for this one, and you can purchase the Wilder vs Fury fight if you're a customer of BT TV, Sky or Virgin Media. BT has now revealed the purchase information and it came as no surprise to see it priced at £19.95 - that's roughly what Sky has been charging for boxing PPVs for a while now. The main event will begin at around 2am BST, so that's the early hours of Sunday morning in the UK. For Canada, see our US section above. What goes for the south of the border goes for you, too. So it will be shown on Showtime and you'll have to shell out for pay-per-view. Main Event has finally been confirmed as the PPV channel for watching Down Under. It doesn't come cheap though - you'll need to part with $49.95 to book the Wilder vs Fury showdown. At least you get a sociable watching time though. We're expecting this one to start at around 12pm noon on Sunday, December 2. How does boxing and lunch sound? In less than 48 hours it will all be over. The build-up, the trash talk, the rabid anticipation of it all. Saturday night is Wilder vs Fury fight night. It's unmissable and we'll tell you how to find a Wilder vs Fury live stream so you can watch from absolutely anywhere using this handy guide.